People have often asked me what it’s like training athletes versus the average person who simply wants to lose weight and/or gain some muscle. I usually respond that it’s not really that much different (unless we’re talking elite collegiate or pro athletes) but there are some unique aspects. I’ll start with a few observations about the nature of training athletes. I’ll write about the nuts and bolts of training design in a second article. In my 20’s and 30’s, I directed sports camps for both middle school and high school athletes in the Dallas/Fort Worth area. As with all organizations, the top leaders should focus their energies on younger leaders who then pass their energies on to others who may struggle to find their own identity within a larger group. In leadership talks that I’ve given, I’ve referred to this as the Exit Strategy for Leaders. It was ALWAYS my goal to encourage leaders already within the group because they would remain long after I was done with the summer or preseason program. It’s NEVER my goal to babysit athletes which means I’m doing all the work as a leader. Instead my focus looks to hand over the leadership to the group itself. What I came with–vision, goals, training expertise, leading the mindsets of a group of participants–at the start of a program was exactly what I left with at the end of the program. This wouldn’t be much of a “gift” if I took it home with me. For those who’ve been under my leadership, they are already familiar with one of my favorite tenets: You should never be solely in a relationship for what you can GET out of it but for what you can GIVE to it. This necessitates being focused on a relationship centered on sacrificing for others rather than being self-centered in your relationships. This creed SHOULD be something every coach or trainer lives by but unfortunately it’s usually the opposite…especially in sales-driven training jobs. When you see an athlete on t.v. thanking his unsung heroes and supporting cast, you see good character qualities. 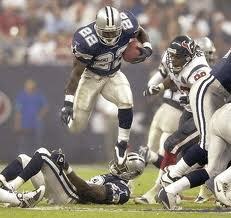 Emmitt Smith, for instance, gave his lineman Rolex watches when he was winnning NFL rushing titles. The first thing a freshly anointed leader should do is find his/her replacement. This ensures that the leader is intentionally training others to help implement a strategy for the group. It’s also a hallmark of unselfish character. Leaders who allow ambition and power to bias their goals will fight for attention and glory as an individual and that is usually one of the greatest reasons for a group to struggle with success or even be destroyed. a master leader on the field…and off. 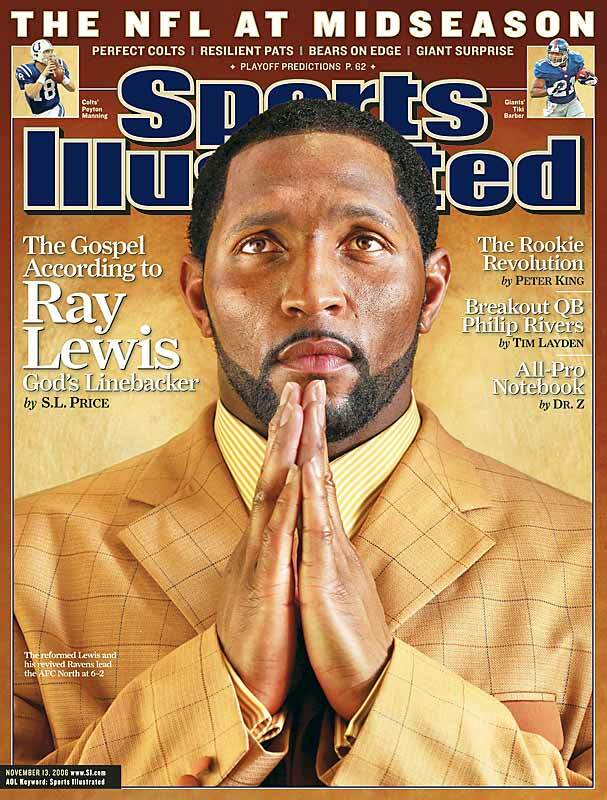 Ray Lewis has embodied this servant leadership ideal his entire career and is now passing the torch to his super bowl champion (2013) Raven teammates. It’s like a spider who builds a web and everything that touches the web gets stuck to it. The coach or trainer is the spider. The web represents the CULTURE. Culture is a term that leaders discuss to define both the people and the environment the people interact with. The athletes whom the trainer wants to focus on developing as leaders are similar to the spider’s family. All the spiders are able to navigate the web just as the main spider who spun the web. This is the basis of discipleship which is simply creating extensions of yourself. Hopefully you are always mindful that your disciples can reproduce your bad qualities just as much as they can copy your good qualities but that’s another conversation. Delegation becomes an integral part of the leadership equation. Trainers/coaches who try to do everything him/herself make a grave error. Not only is there not enough time to adequately attend to everyone, but it makes everyone reliant on one person. If that person leaves or is not around, it creates chaos and uncertainty. The programs that master this delegation mentality consistently produce successful teams and more importantly these athletes learn to apply these principles into other parts of their life and career. Head coach Kevin Sumlin is another leader who transformed an Aggie culture almost overnight. His predecessor, Mike Sherman, laid a foundation of building positive character and leadership. However, it was coach Sumlin’s spark of enthusiasm and uncompromising focus which catapulted the Texas A&M squad to an outstanding year including the stunning upset of the #1 Alabama Crimson Tide. Leaders step up when it matters most! Another observation I’ve seen occurs with younger athletes: you generally have to keep them moving and motivated. The frontal lobe of the brain is not fully developed until the early 20’s. This is where abstract thought is developed (thinking outside the box). It’s important to focus on concrete examples and lots (and lots) of repetition of the basics you desire for them to master. This is important to leadership development because this becomes the practice ground for many young leaders to fail and fail safely. We never want to punish young leaders when they mess up. We instead look to CORRECT their mistakes and allow them to salvage their self esteem and dignity. At one of Jason Garrett’s youth football camps in the early 2000’s, I was responsible for the agility portion of the camp. As much as I would have liked to work on top speed development, those young athletes lacked the mental concentration to avoid playing around and throwing rocks at each other. It was funny at the same time that it was frustrating. Thankfully that lack of concentration improves as the players mature but it can take awhile and it forces the trainer or coach to be organized, structured and above all, patient. As far as more elite athletes go, its very important for trainers not to act “star-struck”. When I was the athletic director at the Texas Club in the mid 1990’s I had the privilege of meeting Michael Jordan while he was still playing for the Chicago Bulls. We often had visiting NBA teams come to our gym because we had a full basketball court, a track and nice equipment as well as being the official club for teams playing at Reunion Arena (pre-American Airlines center). I had been told in advance that Michael would be working out there with his personal trainer, Tim Grover. When he arrived with his 4 rather large bodyguards all dressed in red, my heart started to pound. I kept staring at them during their workout hoping to pick up some amazing and cutting edge techniques. As I continued to spy on their workout, I came to the conclusion that they were simply doing a typical in-season program. There were no fireworks. Just some average lifting exercises. However, the real magic came later when they were done. Michael approached me to ask where the back extension machine was and I humbly (a little kid shaking in his shoes more accurately described my emotional state at the time) showed him the make-shift machine we used in place of a dedicated back extension machine. Of course, he was way too tall to fit in it but at least we tried to solve his dilemma. I got to show Michael Jordan how to do an exercise he never actually did. He graciously thanked me for trying to help and smiled as he walked off. As much as I would like to brag that I once trained Michael Jordan, that would obviously be stretching the truth. What was true is that he was a world-famous star and I was just another trainer hoping to become somebody special one day. I learned that Michael ties his shoes just like everyone else does. This helped me to see athletes as normal people rather than somebody vastly different from me. Later on when I would work with professional athletes I always remembered to treat them the same and they would respect you as an authority rather than a friend. Unfortunately, when trainers don’t maintain that level of respect with clients, the clients/athletes will often walk all over the trainer because of an ambiguous line of professionalism and friendship and the trainer will allow it in order to avoid confrontation. This is why you see athletes being rebellious and talking back to their trainers or coaches. Respect is earned not given. Respect must be cultivated in any relationship and this is another crucial aspect of good leadership that must take place if you want to produce a positive culture where everyone is thriving and growing as a team. This is true in the office as well as on the playing field. While I’m thinking of athletes I respect (and there were many), allow me to mention another scenario. I’ll never forget my first conversation with Emmitt Smith. He joined me and another nfl receiver for dinner at a local restaurant in Dallas, Texas. Even though I had worked with many athletes in the pro and collegiate ranks, he was someone I was nervous about meeting. After our conversation, I was an even bigger fan and at the same time very impressed with his humble approach to hard work and perseverance. Being curious about his approach to training, I peppered Emmitt with questions about his training protocol and got every answer I was looking for and then some. He was very clear in stating that the answer to staying ahead of your competition was not just a singular approach to training. It was the collective synergy of taking care of your body through strict eating regimens, disciplined and clearly-mapped training plans, medical support (doctors, chiropractors, dietitians, etc) and lots of prayer (spiritual training…reminds me of 1 Timothy 4:8 which states that “physical training is of some value but godliness holds value for all things…”). It was refreshing to see an athlete be resolute in bridging the power of his spirituality with the potential power of our physical body. I had grown up watching my father and grandfather demonstrate this so I naturally thought everyone else felt this way about their approach to staying in shape. In addition, most of the martial arts movies I grew up with carried this same notion of allowing your spiritual focus to help sustain and partner with your physical efforts. Not only does this improve mental and emotional focus but it also serves as a moral guide to staying out of trouble off the field. I have so many stories but I’ll save more of them for future articles. I will soon post a follow-up story to this one that describes more specific aspects of developing speed and power. Thanks for taking the time to read this and remember, Leadership starts in the mirrow! I’ll never forget my first conversation with Emmitt Smith. He joined me and another nfl receiver for dinner at Humperdinks restaurant in Dallas, Texas. Even though I had worked with many athletes in the pro and collegiate ranks, he was someone I truly admired. After our conversation, I was an even bigger fan. Being curious, I peppered Emmitt with questions about his training protocol and got every answer I was looking for and then some. He was very clear in stating that the answer to staying ahead of your competition was not just a singular approach to training. It was the collective synergy of taking care of your body through strict eating regimens, disciplined and lucid training plans, medical support (doctors, chiropractors, dietitians, etc) and lots of prayer (spiritual training…reminds me of 1 Timothy 4:8 which states that “physical training is of some value but godliness holds value for all things…”). That conversation helped me to be resolute in bridging the power of our spirituality with the potential power of our physical body.